"This course helped me, a lifetime later, to better understand some aspects of the work my father did." 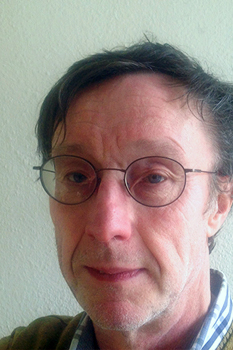 Bert Neut is a Technical Writer from The Netherlands. He enrolled in the online course Air Safety Investigation - Expert Track in 2017. From childhood, aviation was a part of my life as my father was a pilot/instructor in the RNLAF. He also acted several times as a member of an accident investigation team. He himself was involved in a mid-air collision and fortunately was unharmed. This course helped me, a lifetime later, to better understand some aspects of the work my father did. I also wanted to understand more fully the work that all these dedicated people do to make aviation safer every day and to learn from accidents and incidents. It provides tools and way of (analytic) thinking that can be applied in improving safety throughout society. This was already the fourth online course I have followed. I have to say that to me this again was a great way of exploring new areas. I started the course with the assumption that it was a little overambitious to start an academic level course at the age of 63. But at the end of the day I finished with a score of 90% and even a 96% for the expert track. Online learning makes me feel like a young student again. Learning keeps your brain active, keeps you in contact with the world and boosts your skills. I can recommend this to everyone who wants to broaden their view of the world. I wish the online learning environment had been invented a few decades ago. It is a golden opportunity for everyone who is committed to lifelong learning. It provides ready access to worldwide knowledge. No need to travel to libraries, almost instant feedback from teachers and fellow students. Good balanced didactics each contained in one video. Take your course in an environment with as few distractions as possible. Clean your desk. Make a time schedule and remain disciplined. Take a course with a final certificate, this helps very much in keeping motivated.